Modern ladies in their early 20s are already at the stage of preparation for the onslaught of pigments in this hot climate of Singapore. They are armed with sunscreen, sunblock, vitamin E supplements and so on. So what have you done for yourself lately? Most common cause of pigments in different age groups consists of caused by excessive production of melanin (colour pigment) in the body. The “Youthful” stage – The love for outdoor activities. Yes those who loves to beach party, you might enjoy it now but your skin texture and elasticity will wear down and therefore you would be prone to tiny brown pigments especially around the cheeks and bridge of the nose. 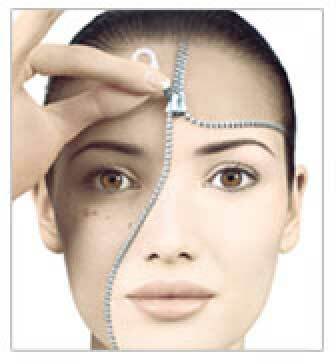 Pigments cause by the sun can be removed with perhaps some lightening cream containing Arbutin and niacinamade. I had a client who had two huge patches of pigments around the cheeks because of 6 hours of golf under the hot sun almost every weekend with no hat or sunblock! The “Mature” stage – Caused by the pregnancy and hormonal changes. This is the sacrifice that women have to make when we want to have children. Sorry ladies, if age catches up, we have to face the reality. Some times, pigment might be caused by the liver damage because the liver is no longer in the condition to cleanse the blood in the body. The body becomes “unhealthy” ; we age faster and pigments will show in the long run. In these cases, solutions come in the form of miracle creams Alpha hydroxy acid (AHA) and laser.